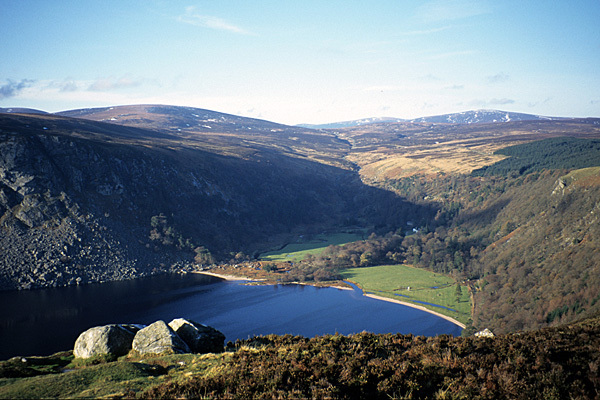 Overlooking Luggala Lough from the Wicklow Way in the heart of the Wicklow Mountains. 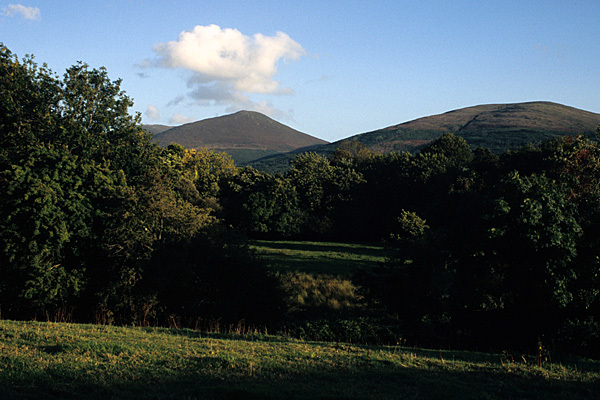 The Knockmealdown Mountains rise above pleasant countryside near Clogheen. Walkers on the Blackwater Way between Co Cork and Co Kerry. After watching the development of waymarked trails in Ireland over the years, it was apparent that certain trails, when linked end-to-end, would stretch from coast to coast across Ireland. The idea for a guidebook was put to Cicerone. 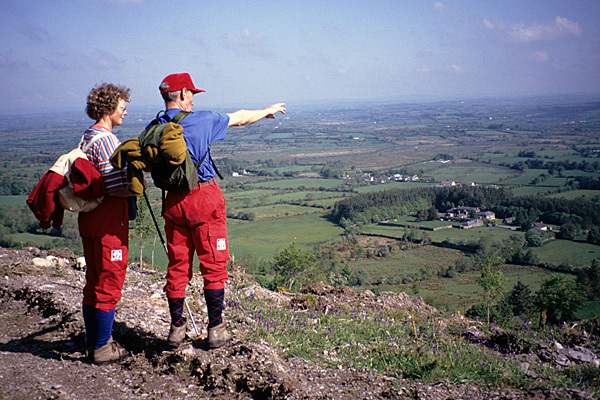 The Irish Coast to Coast, when it was first walked, was made up of the Wicklow Way, South Leinster Way, Munster Way, Avondhu Way, Duhallow Way and Kerry Way. Short links and extensions were needed to stretch the route all the way from coast to coast, and that formed the basis for the first edition of the guidebook. Some high-level alternative routes were included over nearby mountain ranges. In a review in Irish Mountain Log, Jean Boydell said, "This is a neat pocket-sized book, clearly written... It will be useful for linking any of the ways included." Some of the original waymarked trails used in the guidebook were later altered or extended. The Avondhu Way and Duhallow Way, for example, were merged to become the Blackwater Way, and there was a suggestion for the Irish Coast to Coast Walk to be recognised as an extension of the trans-European E8 walking route. The time came for the route to be walked and checked all over again. The Irish Coast to Coast Walk guide has been completely overhauled and re-written, being published in full colour, featuring new mapping and an updated accommodation list.